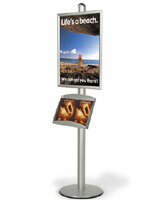 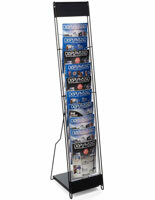 Is your company interested in what our best selling magazine holders are? 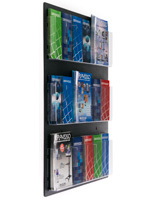 Knowing that information could make it easier to select brochure and literature racks for your organization; and knowing our product line is priced to sell, and built to last, will give you confidence when you decide on your purchase. 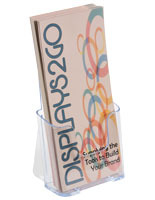 Many of the top selling displays and products we offer here are designed to hold other printed materials such as books, newsletters, pamphlets, and files. 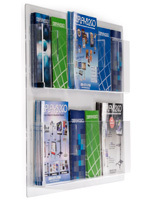 In addition to traditional countertop and floor standing models, we offer a few choice plastic best-selling magazine holders for use with slatwall systems. 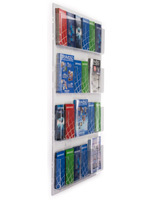 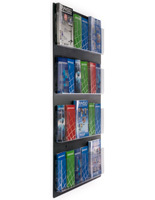 This unique grouping of book, brochure, and periodical holders encompasses all document display styles, from single pocket to full wall mounted matrices. 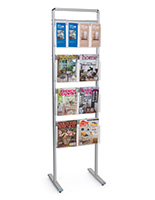 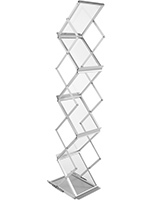 These best-selling magazine holders, also known as literature displays, are the top culled rack and stand products we offer on this site. 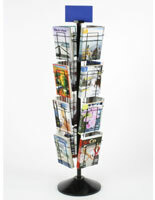 The group here is comprised of holders made from an array of different materials including wood, metal, plastic and acrylic. 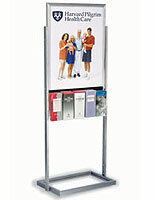 What are common uses for these literature displays? 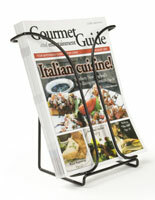 These best selling magazine holders are mainly used in the lobby or entrance areas of many different types of businesses. 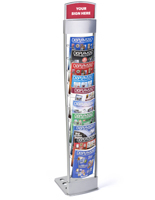 Doctor’s offices, lawyer’s offices, barber shops, beauty salons, travel agencies, and realty offices are typical locations for use. 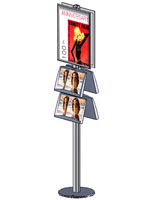 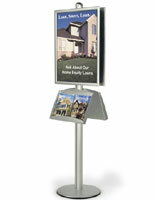 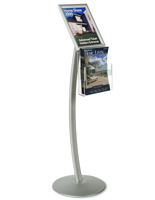 Some of our floor standing products are the ideal size for books and/or greeting cards, and some of these literature displays can be placed in the middle of sales floor for best accessibility. 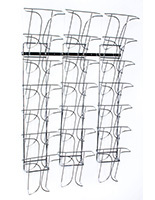 We also offer a similar selection of racks for countertop use. 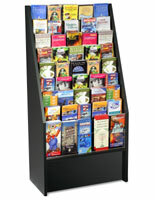 We are known for effectively meeting the needs of the traveling professional. 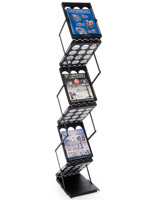 We understand that the road can take a toll on even the most seasoned professional, which is why we only offer the best, most compact and transport-friendly tradeshow products. 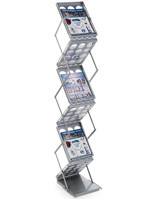 Folding and portable, our travel magazine holders are a must-have when setting up a booth at a tradeshow, expo, convention, or job fair, and nearly every other event that brings the sales professional out of the office. 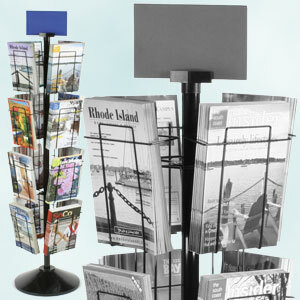 The plastic literature displays offered here are not just limited to magazines. 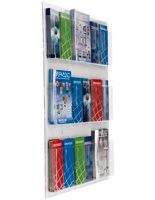 While some of our racks are outfitted specifically for books or brochures, we also offer a wide selection of adjustable pocket models whose sizes can change to hold anything from files to pamphlets, and sometimes both at once. 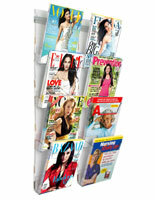 The diverse nature of a top selling category is one of its strong suits as the range of products can span from wood to acrylic or plastic, and can support brochures, trifolds, or traditional magazines. 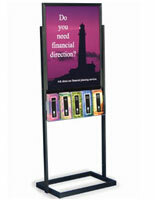 So, go ahead - explore the best we have to offer you, our valued customer.